Roofing Contractor - Premium OKC Roofing Co. The roof of your home protects more than your family and belongings inside. It protects your home’s foundation, and the support system keeping it in place. This is why it is vital that you choose a quality Oklahoma City roofing contractor. Your home’s roof is exposed to the elements all day, every day. Sun, rain, snow, ice, hail, high winds – they can take a toll on any roof. 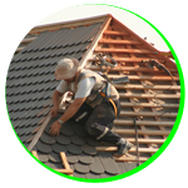 Our Oklahoma Roofing experts are highly skilled and have all undergone rigorous training. Protect your investment with a reliable and beautiful new roof. Our expert inspectors will assess your roof and determine if any defects exist or if the life of your roof can be extended through simple modification or maintenance. 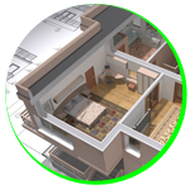 We use cutting-edge technology and provide you with a comprehensive report after every inspection. We always focus on providing you with the most cost-effective solution. Call us today for a free inspection, your locally owned roofing contractor. We are the roofers OKC trusts. If you’re are searching for the best Oklahoma City's Commercial Roofing Contractor that can provide installation and maintenance, then look no further! 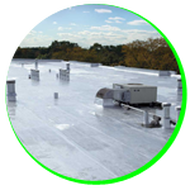 Our professional team of commercial and industrial roofers has what it takes to guarantee that your next commercial roofing project is executed efficiently, on-time and within budget. 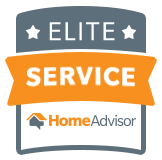 We are one of the top rated roofing companies in the Oklahoma area! Whether your building is in need of an extreme roof repair or a complete roof replacement, we can help with all of your needs! With years of experience working with commercial customers just like you, rest assured your needs are being met while our Oklahoma City roofers get the job finished with the quality you expect. Contact us today for a no-obligation free roofing estimate! Ultimate Roofing and Construction, LLC specialize in flat roofs, low slope roofing systems, and metal roofs. We can provide repairs to a full replacement – our expert roofing team will go above and beyond to exceed your expectations. With years of experience serving the OKC community, we have earned an excellent reputation among business owners in the commercial market. We are dedicated and focused to get the job done with over the top standards at an affordable rate that you can be happy with. Ultimate Roofing and Construction, LLC offers custom roof maintenance programs created to help keep your roof in a stellar condition which can decrease the need for a roofing emergency repair. By maintaining your commercial roof, you can avoid disastrous issues that come with a poorly maintained roof. "We had water spots in our bathroom ceiling and thought our roof had damage after the recent tornadoes/flooding/hail and high winds. I called Ultimate Roofing and Booby quickly came out to inspect it. They were professional, speedy and didn’t try to sell me a whole new roof but just fixed the small problem area at a great price. Couldn’t ask for better and I will call them again if we have any other problems." "I was very happy with my experience working with Ultimate roofing. They were professional, respectful and the job was cleaned up exceptionally well when they were done. I will be using them again if I ever need a contractor again." “The first honest roofers I’ve known. Every time I have ever had a roofer on my roof (this house or any other) it’s meant them saying I needed a new roof. Chad said my small leak was caused by needing new boots on the pipes that go through the roof. $100 later, problem solved." 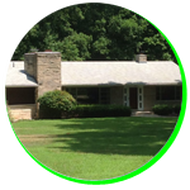 Ultimate Roofing and Construction, LLC, believes that a home is where much of a family’s history is written. So, it should grow as you grow. Our design staff and project coordinators can help you transform your space and create your dream home…from a simple closet modification to a whole house remodel and everything in between. Bathrooms: Getting the most function out of any space in the home is key. With a bathroom remodel, it’s essential. From a small powder bathroom to grand master-bath suites, we can transform your ideal bathroom into a reality. Kitchen: Whether your new kitchen remodels is to become a stylish, central gathering space for entertaining…. or a more efficient prep area for meal preparation. Call Ultimate Roofing and Construction, LLC, Let us make the ultimate kitchen of your dreams. Extensions: From a new patio or, adding a room to a historic home or maybe you need an entirely new floor, whatever your space needs we have the team and expertise to make it happen. Contact us about how we can help with your roofing needs! 1. Do they have a local office in Oklahoma City? You need to make sure he/she is locally owned and established in the community. This will ensure they are established and will be around if there are problems. You will find this with Ultimate Roofing and Construction. Our family-owned business wants you to feel like you are part of our family. We will work closely with you and help you through the process and answer any questions or concerns you may have. We pride ourselves on having the best customer service in Oklahoma. 2. Is the contractor a member of the Better Business Bureau? Reputable contractors will be long-standing members of the BBB. You will want to check their rating. URC has been a member of the BBB since 02/08/2013. Our roofing experts are certified with years of experience and training that makes us the #1 roofing company in the state of Oklahoma. You can trust our family-owned company and our top-notch employees. We are dedicated to providing our customers with a quality roof that they are happy with. Ulitmate Roofing and Construction, LLC is licensed, bonded and adequately insured to protect your investment. Licensing proves the company has the technical know-how to do your roofing job, insurance protects the homeowner from damage that may occur or injuries to workers, and the bond protects the consumer’s financial investment. 4. Do they provide a roofing warranty? Without a warranty, you’re left in the cold if your roof goes bad. Be sure to ask your roofing contractor about a warranty and read your contract closely to be sure the agreed-upon warranty is included. Please contact your Ultimate Roofing and Construction Contractor to discuss all of the options available according to the type of roofing material installed. We guarantee that you will find a warranty that fits your needs. We know when it comes to a new roof or remodeling, homeowners don't always have thousands of dollars for repairs or remodeling. This is why we have options available, just for you. 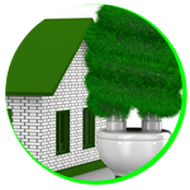 Greensky is a fast, paperless financing company specializing in home remodeling loans and prime-credit home improvement loans. 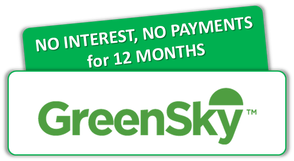 From low payments, no interest payments to no payments for an extended period of time, Greensky is flexible and perfect for any size roof replacement and home remodeling project. Greensky makes having that dream home completely affordable and removes the stress of emergency projects to be easily completed quickly.